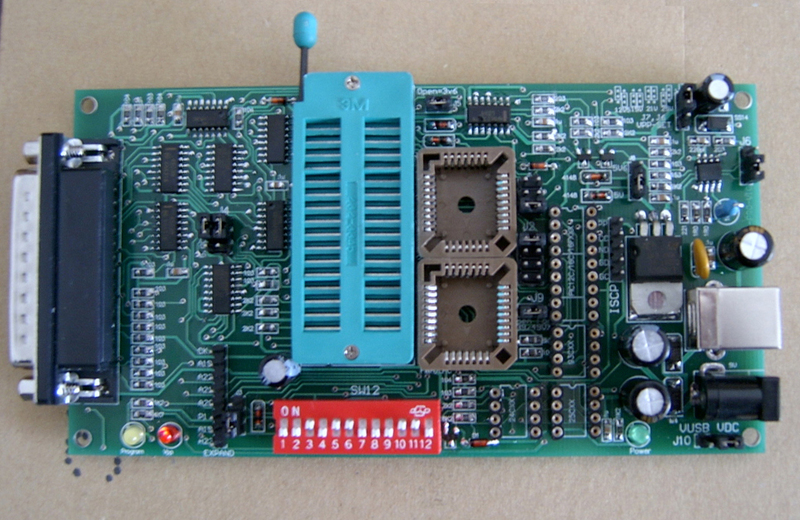 You can choose between Version PCB3B and PCB5.0 using jumper setting if required. PCB, so it can supply optional Vcc of 5.6V and 6.2V when an external power supply is used (plugpack/transformer not supplied). These optional programming Vcc voltages are selectable by setting jumpers. - Refreshing , Upgrading, Programming motherboard BIOS chips. - Copier, Fax machine, Printer main board maintaining or repairing. - Car memory device code reading, writing. - VCD, DVD, Color TV maintaining or repairing. - Neon Light Controller code writing. - MCU development - programming for MCS-51 series, AVR series and PIC series MCU. - Repairing, reading, writing, programming PC motherboard BIOS Chips. - Upgrade the chip in your cars computer. - Modify the chips in your Xbox, Wii or PlayStation Console. check if the device you want to program is supported. The included software is Windows Based and every Version up to and including the latest Version for this Programmer is on the CD. for Wii with this programmer !